The Cadbury Research Fellowship Scheme is run every year since 2002 by the Department of African Studies and Anthropology at the University of Birmingham, thanks to a generous bequest from the Cadbury family. Having selected its research theme for the year, the department opens a call for visiting fellowship applications, and selects early career scholars who are normally based in African institutions. When visiting fellows arrive in the department, they join in a series of developmental activities which are organised around the annual research theme and are open to members of academic staff and postgraduate students. 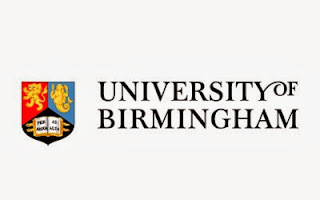 The department is looking for early-career scholars whose research would benefit from a residential fellowship of approximately six weeks at the University of Birmingham. Applicants must be based in an African institution. Applicants should be in the early stages of their academic careers (that is, they should have completed a PhD within the last four years, or now be close to completing one) and they must demonstrate that their research is relevant to the theme selected for the current year. Scholars work across the fields of anthropology, law, history, political science, and development and gender studies (arts, humanities and social sciences). The 2017 theme is Marriage in Africa. It is convened in honour of Lynne Brydon and marks her contribution to the establishment of gender studies in Africa. Fellowships will cover return air-fare, accommodation and living costs for the whole period of the programme. Also the Cadbury fellows will have time to use the University’s excellent library resources, discuss their work with academic staff and postgraduate students at DASA, and contribute to the intellectual life of the department by participating in the numerous events that will be organised here during the period of the fellowships. If you would like to be considered for the 2017 scheme, please send your application by email to Dr Kate Skinner on k.a.skinner@bham.ac.uk by the deadline date below. In your email, please let us know how you learned about this programme and confirm that you will be able to come to Birmingham for the fellowship period 24 April 2017 to 4 June 2017. A research project description of 1500 words, describing: a) the research that you have already done, b) the specific aspect that you seek to develop during the fellowship, and c) how this relates to the theme of Marriage in Africa. A short CV (not more than 3 pages) including the names of two referees. It is important to visit the official website (link to it is below) for complete information on how to apply for this fellowship. Applications opened in October. You must have completed your application via email to the address above by the deadline date 9 December 2016. The Department of African Studies and Anthropology (incorporating the Centre of West African Studies) at the University of Birmingham has almost 50 years’ experience and expertise in supporting students from all over the world… including Africa. The department, on its website, says they are interested in the whole of Africa, not just West Africa. However, they are the only university department in the world to concentrate specifically on West Africa. If you are looking for consultations on cultural, social, political or legal matters, please contact them (via link below). The University of Birmingham itself is located in the heart of England with campuses in the Edgbaston and Selly Oak areas of the city of Birmingham.